Fans will eat it up, but there's substance for even skeptical viewers. The 2018 documentary is directed by Kevin Macdonald. 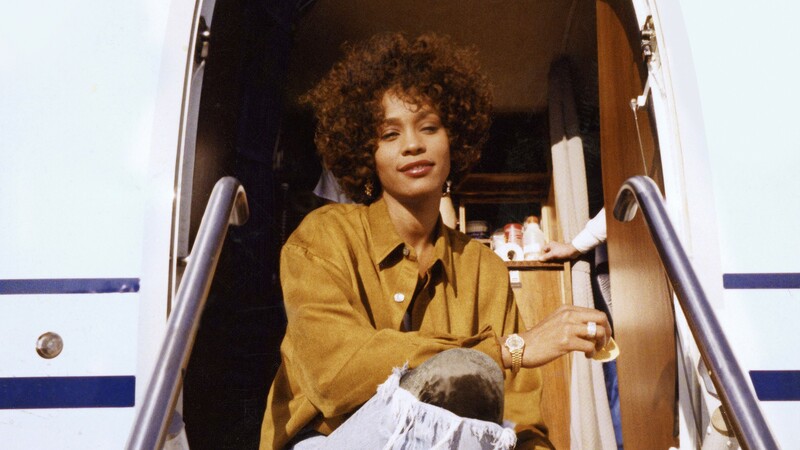 Whitney Houston. Was she the most gifted pop vocalist of the 20th century, or just another pathetic celebrity drug casualty? Whitney, the latest of the more than 300 film and TV productions with the late entertainer's name attached to it, does its best to answer both these questions. Houston's fans will eat it up with a spoon, of course, but even the most skeptical viewer may come away with a better understanding of the perils of fame. A product of Newark, New Jersey, Houston grew up in a musical family, singing in church. Her mother, Cissy Houston, performed with the Sweet Inspirations, and cousins Dionne Warwick and Dee Dee Warwick were popular soul music performers in their own right. But Whitney had a voice that outshone them all, with an angelic face to match. She made her professional debut at age 21 and took the world by storm. But as was the case with such pop music idols as Michael Jackson, Prince, and Amy Winehouse, Houston's personal demons eventually gained the upper hand. Houston's signature tune was "I Will Always Love You," the centerpiece of her appearance in the 1992 hit movie The Bodyguard, in which her character fell in love with her white bodyguard, played by Kevin Costner (who testifies in the doc). Many of the talking heads gathered together by filmmaker Kevin Macdonald have their doubts about the way Houston's career broadened out under the guidance of Arista Records' Clive Davis. Did he convince her to betray her Black gospel roots to achieve mass-market stardom in white America? Further, did her marriage to singer Bobby Brown plunge her into a whirlpool of cocaine and alcohol? What about her supposed lesbian relationship with confidante Robyn Crawford? Whitney cannot resist its own supermarket-tabloid superficiality. A few questions go unanswered.